Lee & Associates announced Thursday that longtime industry professional David Violette has joined the commercial real estate services company’s property management team as executive director. Violette currently manages over 9 million square feet of commercial real estate throughout New Jersey and eastern Pennsylvania. Prior to joining Lee & Associates David was director of property management at NAI DiLeo-Bram and brings over 30 years of experience in real estate management. He services a client portfolio that includes Cabot Properties, Prudential and Blackstone among others. He brings a wealth of experience in real estate finance, property operations, strategic planning and management, Lee & Associates said. Violette previously served as senior vice president for Colliers Houston & Co. with responsibilities for a portfolio of 75 properties throughout New Jersey and eastern Pennsylvania. “My goals include increasing the market penetration of Lee & Associates property management by identifying new opportunities and optimizing the level of service requirements for all of our clients,” Violette said in a prepared statement. 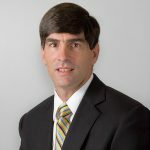 “David has a proven track record of successful management of industrial, office and retail space throughout Northern and Central New Jersey and is currently responsible for overseeing consistent delivery of management services for a 9 million-square-foot property portfolio,” commented Lee & Associates Principal Brian Lynch. Violette currently serves on the Executive Committee for the Industrial and Office Real Estate Brokers Association and is a member of the American Institute of CPAs and the New Jersey Society of CPAs. Combined, Lee & Associates New Jersey, with offices in Elmwood Park and Edison, manages over 11 million square feet of property in New Jersey and Pennsylvania.